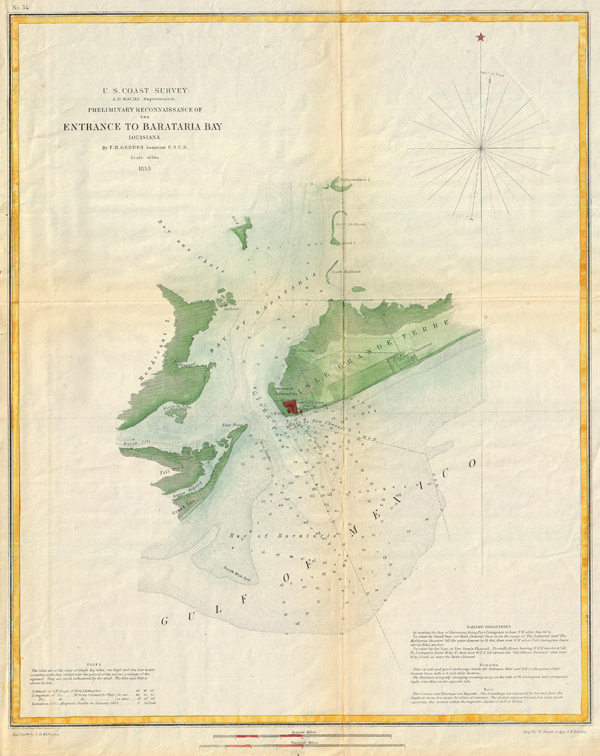 Preliminary Reconnaissance of the Entrance to Barataria Bay, Louisiana. Very good condition Minor toningon original folds. Blank on verso.